BLUE LAKE – On Monday, Aug. 12, at approximately 9 a.m., the Humboldt County Sheriff’s Office served a Humboldt County Superior Court Search warrant at a residence located in the 300 block of Wiregrass Road, Blue Lake. 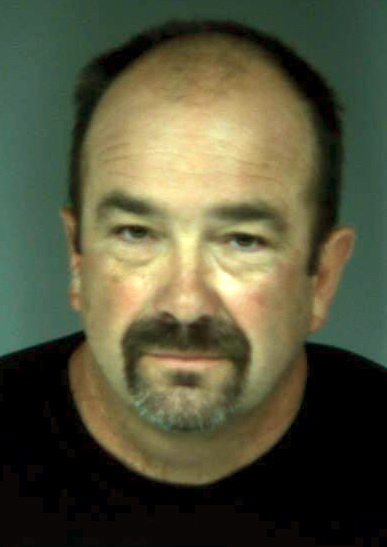 When deputies arrived they met with the homeowner and suspect Matthew Frank Nutter, 50. Deputies searched the property and residence and located three outdoor marijuana gardens and a greenhouse with marijuana plants. The plants ranged in size from one-and-a-half feet tall to six feet tall. There were 39 marijuana plants growing in the greenhouse and 226 marijuana plants being grown outdoors. A search of the residence revealed five firearms, two shotguns, two rifles and a pistol. Nutter was arrested for cultivation of marijuana, maintaining a residence where marijuana is grown and possession of a firearm in the commission of a felony. He was transported and booked into the Humboldt County Correctional Facility where his bail was set at $75,000. Update: The Humboldt Crabs have placed Nutter on administrative leave pending further developments. This entry was posted on Monday, August 12th, 2013 at 2:04 pm	and is filed under News. You can follow any responses to this entry through the RSS 2.0 feed.